It is a fact. If you walk quickly on a non-conductive carpeted floor you can be charged with a voltage which can be as high as 35kV – that’s 35,000 volts – way more than enough energy required for igniting the most combustible vapours. Now take this fact and apply it to a road tanker carrying a bulk powder or petrol and it’s easy to see that without an effective earthing system, that vehicle has the potential of a sizeable bomb. While the above sounds over-dramatic, it’s nothing new. There is, of course, plenty of guidance available and the road haulage industry works closely with the government and other bodies to ensure that every tanker on the road isn’t a threat to life. But it’s vital that every company that either moves or receives large quantities of powdered or liquid product is aware of the dangers regarding a static electrical build-up and has the equipment to deal with it. In theory, a cable attached to an earth at one end and a crocodile clip at the other is better than nothing. The danger here though, is that the operator forgets to connect the cable to a suitable point on the truck, or the cable is damaged or there is a build-up of road grime that stops a proper connection being made. With any of these three, the best advice is to stand clear. The way to avoid all these problems is to have an earthing unit, connected to an interlock that effectively stops the vehicle from unloading if the vehicle isn’t safely earthed. 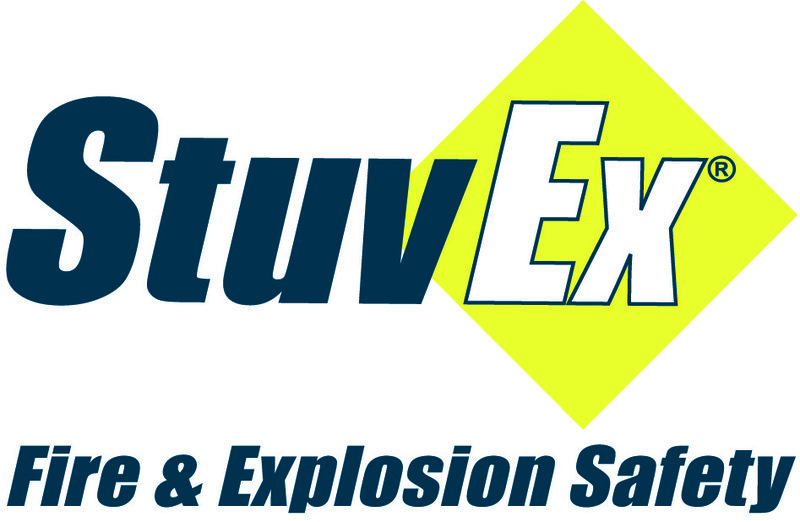 StuvEx manufactures Safe-Ground, a competitively priced and easily installed earthing monitor which can be attached to an interlock so if there isn't a good earth, the truck can’t be discharged. But to make the system still simpler, the unit has a green and red light; if the green light shows, the operator knows that the vehicle is correctly earthed. However, with a red light showing the vehicle isn't earthed and the interlock can be engaged. Static electricity is a problem so in addition to the capacitive system that StuvEx has for road tankers, a resistive system is available for use with barrels and other metal objects and a conductive system is available for use with type C FIBC’s.